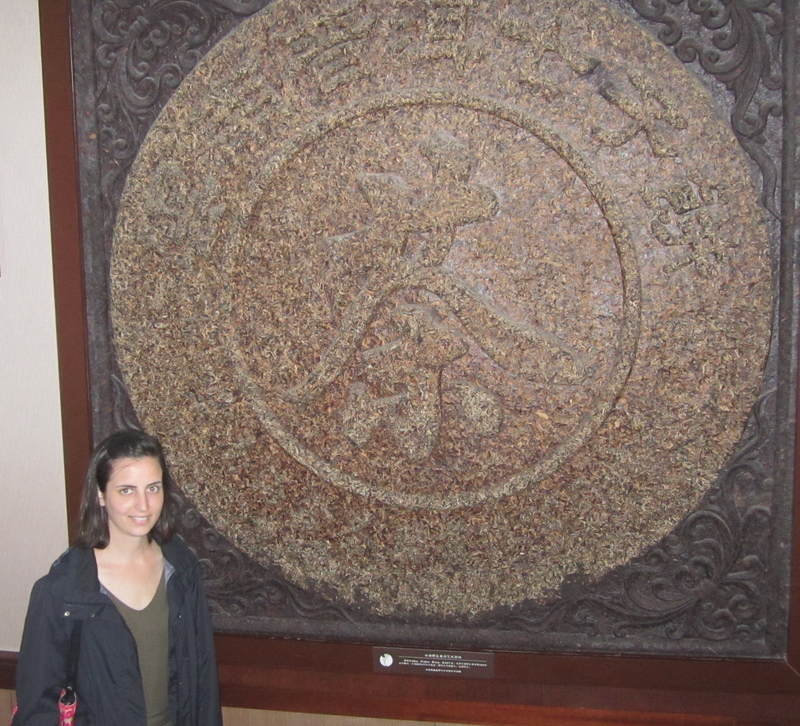 As promised, here are some pictures from my recent trip to Shanghai. 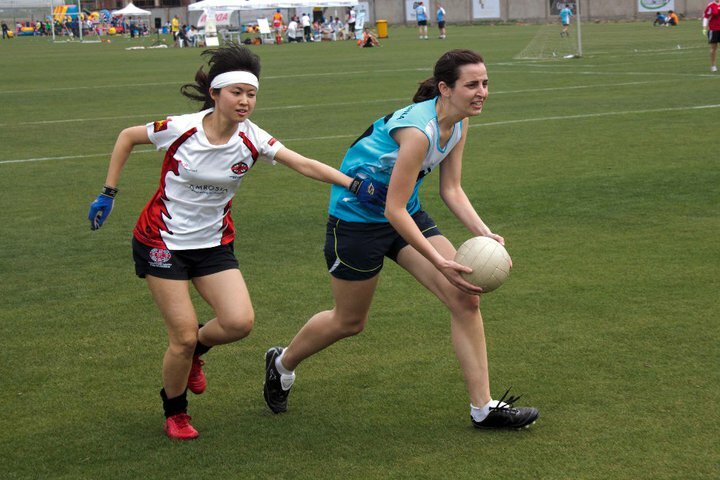 I participated in the All China Gaelic Games and made my Irish ancestors proud. 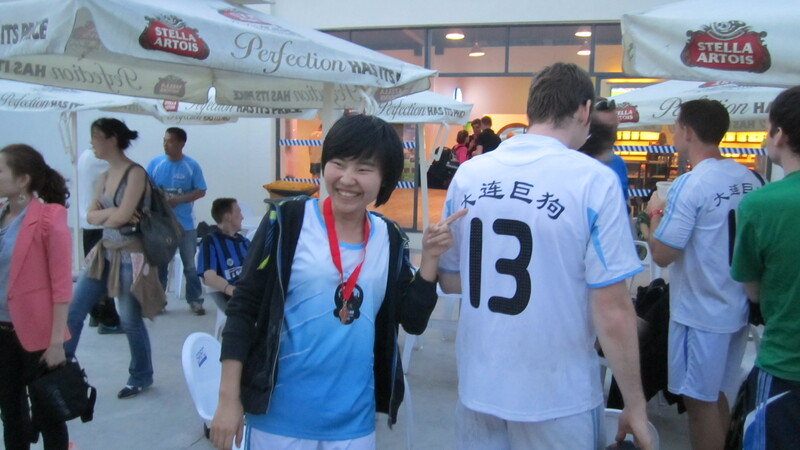 The Dalian women’s team won the plate (which actually means we got third place, but “plate winner” sounds better!). Our men’s “A” team snagged second place in their division. 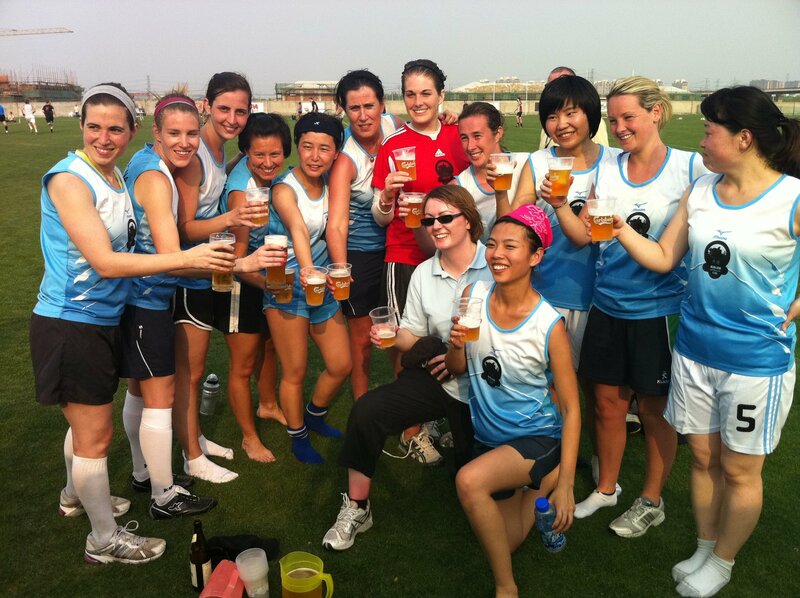 Overall it was a day full of fun in the sun, finished off (in true Irish fashion) with a few pints. 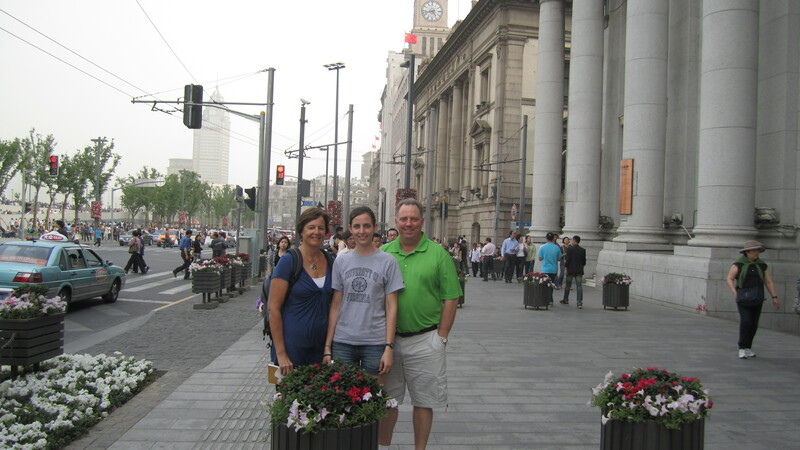 My parents came to Shanghai for the weekend to cheer me on, as well as celebrate their 29th wedding anniversary! It was nice to see them again, and I think they enjoyed seeing a different side of China (compared to their trip to Dalian and Harbin during the frigid winter). 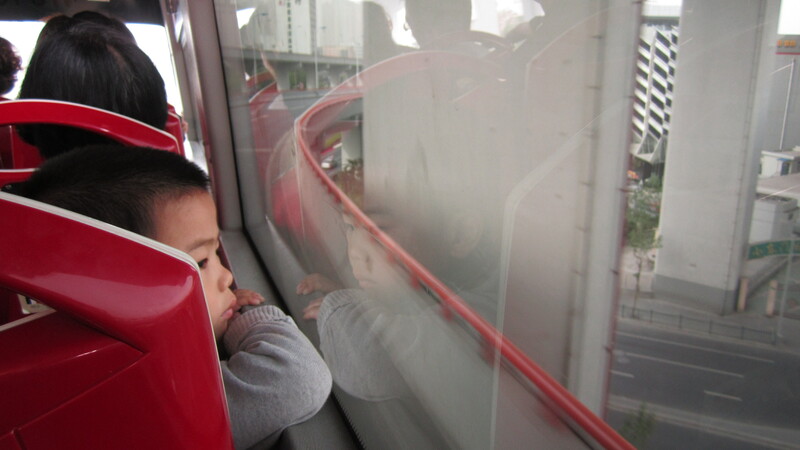 We didn’t have much time to sightsee, so we hopped on a double decker bus that drove around the city. The pollution was re.dic.u.lous! 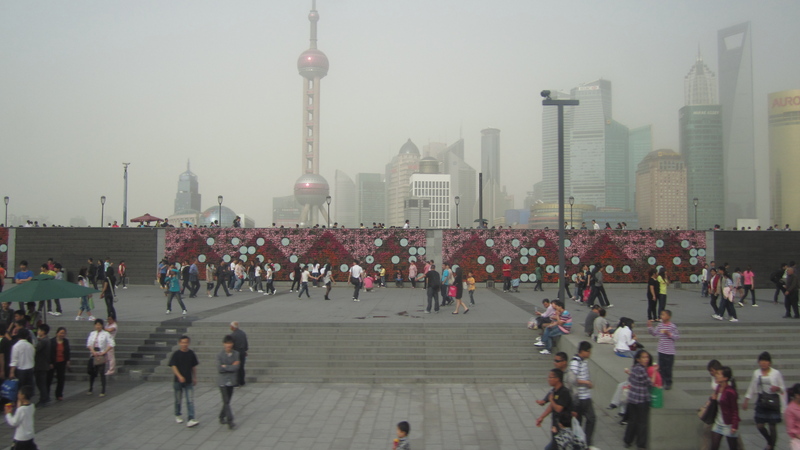 Through the haze you can kind of see Shanghai's famous Oriental Pearl Tower. My dad had to head off early to Australia, but my mom and I had two extra days together. We ate at a fancy pizza restaurant in the Xintiandi (新天地) section of Shanghai. I love Chinese food, but I’m getting to the point now where it’s all starting to taste the same, so I was hankerin’ for some good ole Western cuisine. 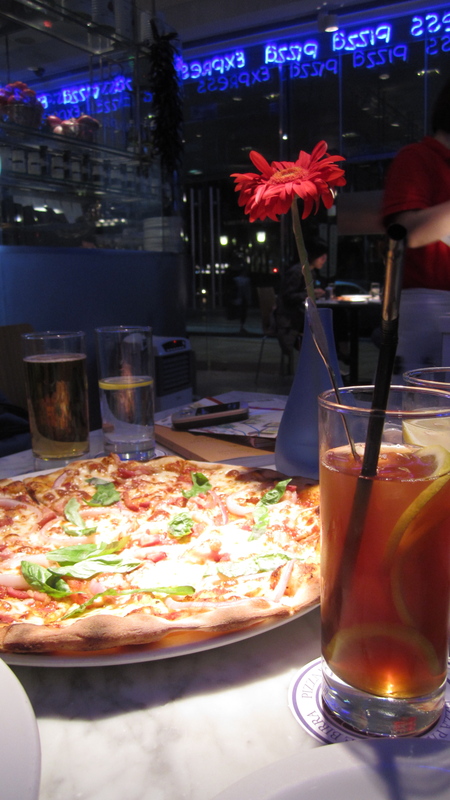 The salad, pizza, and bottomless, unsweetened iced tea totally exceeded my expectations. I couldn’t stop saying how perfect it all tasted. Just looking at this picture brings back fond memories and makes my mouth water…. We got up early on our last full day to go on a day trip to Hangzhou (1 hour by train) to explore the West Lake area and meet up with the Hangzhou PiAers. From this trip I learned two things. 1. 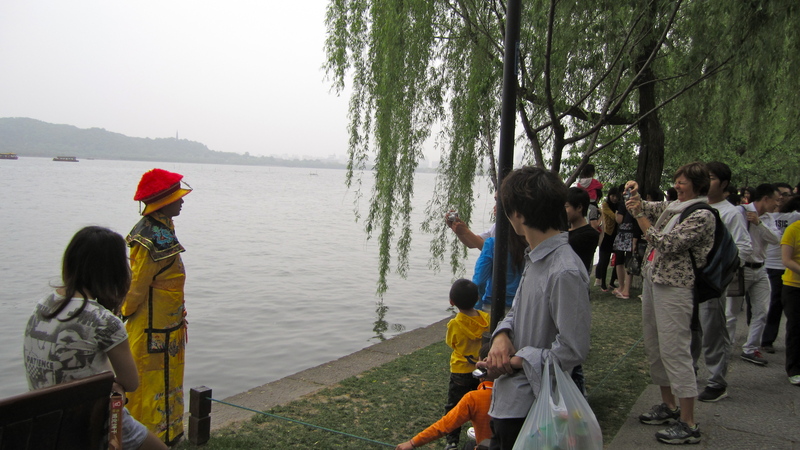 West Lake is huge– much, much bigger than I expected. 2. It is nearly impossible to get a taxi in Hangzhou. Transportation troubles aside, we had a great lunch with the Hangzhou PiAers at Green Tea Restaurant (highly recommended). One of the highlights of our meal was a warm loaf of bread that had been hollowed out and filled with icecream. Strange, but delicious! 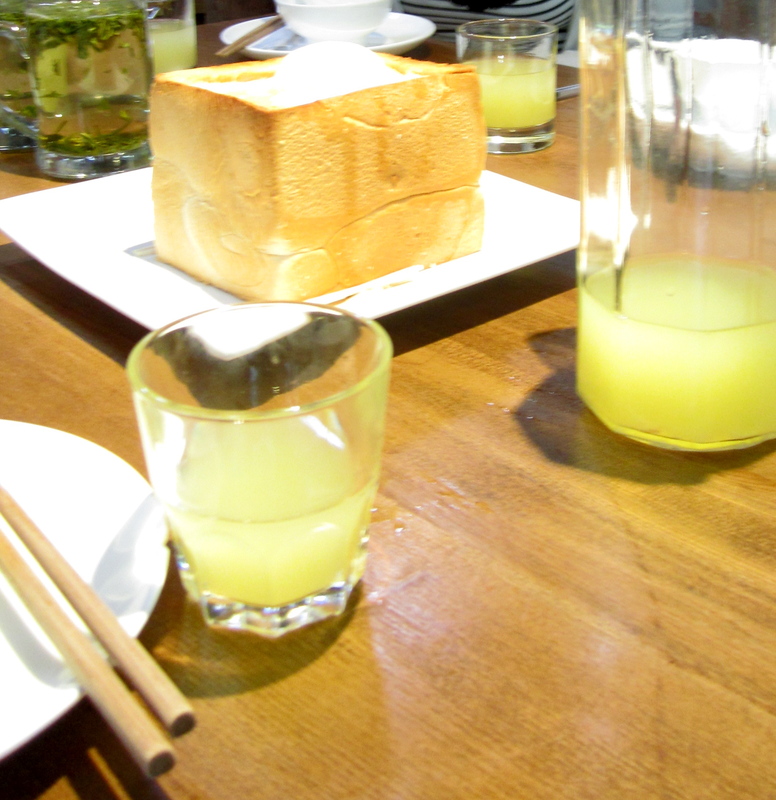 After lunch we went to a nearby tea museum that was interactive and informative (also highly recommended). 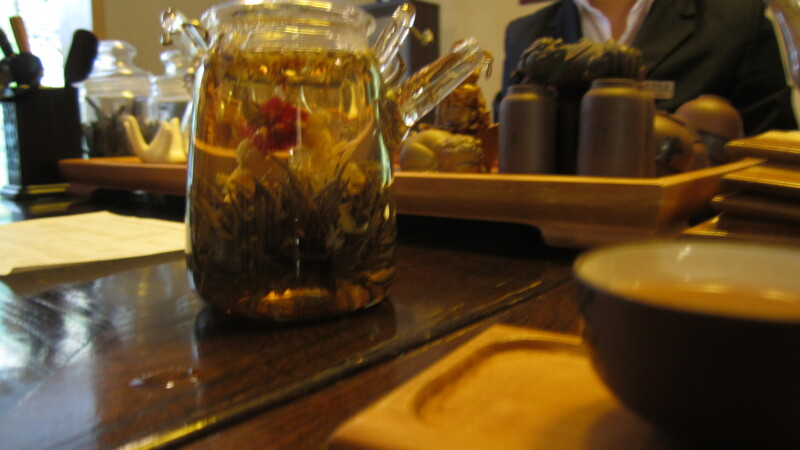 We sat through a fun tea ceremony and tasted several different kinds of teas. This beautiful Jasmine blossom exploded into a full flower when put in hot water. 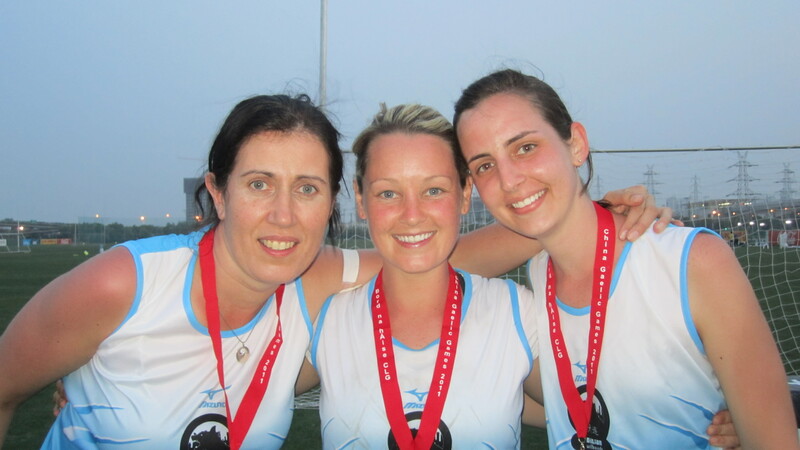 All in all, it was a jam-packed, four-day adventure and a nice change of pace from life in Dalian. I decided that I don’t think I’d like living in Shanghai (too big, too crowded, too polluted, too commercial) but it’s a great place to visit for a few days. 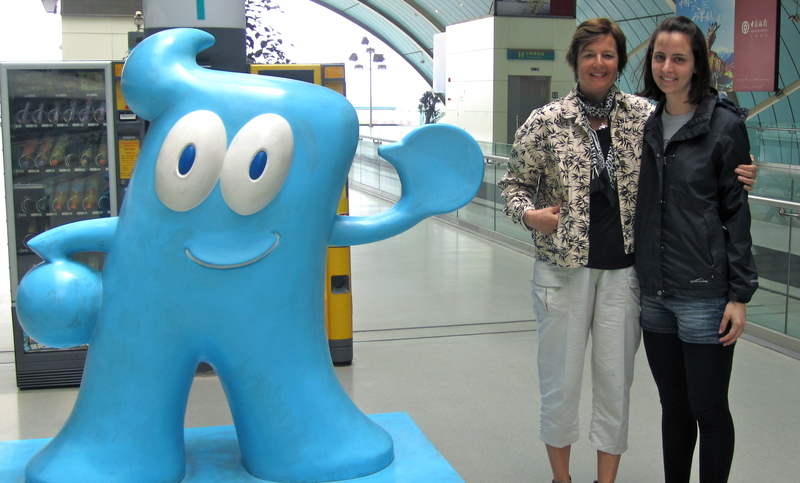 On our last day, my mom and I rode the Maglev train from downtown to the Pudong airport, but stopped first to take a picture with the Shanghai World Expo mascot, haibao. Next up, my weekend trip to the Bingyu Valley! Thanks for sharing with us. You have taught us a lot. Thank You. « Surprise! I got a job!